Glossier is both a beauty company and a tech company that is succeeding by staying incredibly connected to their customers. 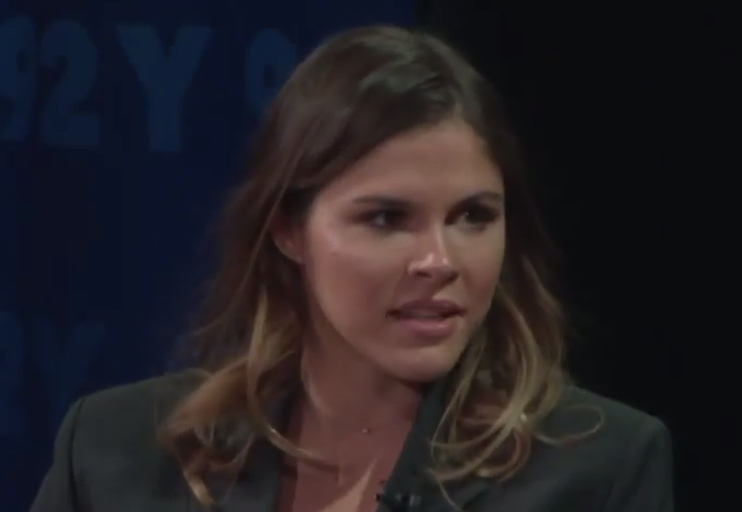 Glossier founder and CEO Emily Weiss says that they are building a people-powered ecosystem where they are co-creating with their customers. Not only do they ask for feedback from their customers, but they communicate with them on a Slack channel directly. This level of communication with consumers makes Glossier unique and is what powers their product creation and innovation. Glossier is a pretty unique kind of beauty company that’s also a tech company. So it’s hard for me sometimes to answer that question, are you beauty or are you tech? I think we’re both. Right now at a glance were about 200 full-time employees across three offices in New York, Canada, and London. We’re about 70 percent female. Our board is 60 percent female. Our engineering team is 50 percent female. It looks a little different than most tech companies. We just crossed last year well over a $100 million in revenue. We’re very excited about that. The way we look at it is that we’re building this people-powered ecosystem. Since we launched four and a half years ago, we have co-created with our consumers. The reason we’re able to do that is because we know who they are. We have a direct relationship with every single person who buys something from us, unlike you all of the incumbent companies that have been built through retail channels. We’ve never existed through retail channels. We have no plans to exist through retail channels. The reason being we think that through using technology we can do three things very differently than what all beauty companies have done in the past. One is channel. The second is discovery. The third is listening at scale. Fundamentally, we just think about how do to give people amazing experiences. In that way perhaps we’re similar to Amazon in that they’re extremely devoted to the customer. We’re very devoted to the customer from the standpoint that we don’t want to put things that aren’t amazing into the world. Since we launched we’ve always relied a lot on user-generated content and feedback. We really started out of a blog that began in 2010 that was all around this premise that people are going to drive purchasing decisions in the future. Not algorithms. Not upselling or cross-selling. If anything, upselling and cross-selling people’s opinions, helping to evangelize people’s voice such that people can decide what they want. At Glossier, we’ve really taken user feedback and asked them for things like what products to make, and where to go in terms of pop-ups or countries. We have fundamentally been able to really change the relationship between brands and customers. Traditionally, the way that I grew up with beauty products and brands was always sort of from brands speaking top down to customers. They are saying you’re not good enough, saying you don’t know what you want, let us tell you what you want. Really dictatorial. In a way, not giving people enough credit to be able to say, hey, actually I use this deodorant every day. So I am an expert at this deodorant. Seriously, we are all experts on the things that we consume and the things that we use. What we’re trying to do is provide the tools, whether it is the physical products that we’ve created over the last four years or the digital conduits that we’re creating now. In the future we hope to help people use their voice and say, hey, how can I help someone else talk about what they’ve learned about beauty and their products and hopefully inspire others. We’ve just typically had a pretty simple premise which is making incredible things that can really stand the test of time. That has equaled so far building these very modern essential products that we hope become icons in the same way an iPhone or an Air Jordan became essential products. Hopefully in thirty years time Boy Brow will connect a fifteen year old in the Middle East to a billionaire in Silicon Valley and we’ll be cross generational and cross socio-economic. We get very excited about creating quality things that make people want to talk about them. Just period full stop. Over 70 percent of our growth so far has been through owned, earned, peer-to-peer, or organic because people just fundamentally want to share that they enjoyed their Boy Brow. This is something that people are really curious about. I think especially in this age of machine learning for us so far a lot of it has been quite like analog. It’s just been posting on the platforms that we have or in our Slack channel, where we have a lot like several hundred top customers, and saying what’s your dream face wash? Sometimes, that’s the way in which we will make product decisions. But typically, it’s really an art and a science. It really depends on the project and how involved we’re going to get versus just sort of say in the office what are we excited about? We stay very connected. Every every team at the company, we’re about a third TAC across engineering, digital product, data, and design. Then we have an in-house creative team and we have in-house R&D. I think we’re all very connected to the to the customer. We have all of our Net Promoter Score feedback and comments from every single customer who answers it. We are constantly taking into a Slack channel that everyone from me to my assistant to an intern can read every day just to stay connected to the customer. Sometimes it’s a single comment or sometimes it’s a macro trend that we that we hear about the translates into innovation.